The most exciting escape room in DC! 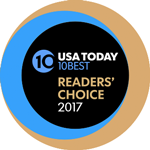 Insomnia Escape Room is included in Top 10 Best Escape Rooms 2017 by USA Today. 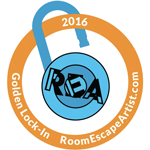 Our Alchemist Room is awarded the Golden Lock 2016 (Best 13 Escape Rooms in the world) by Room Escape Artist. Thriller detective in a psychiatric hospital. 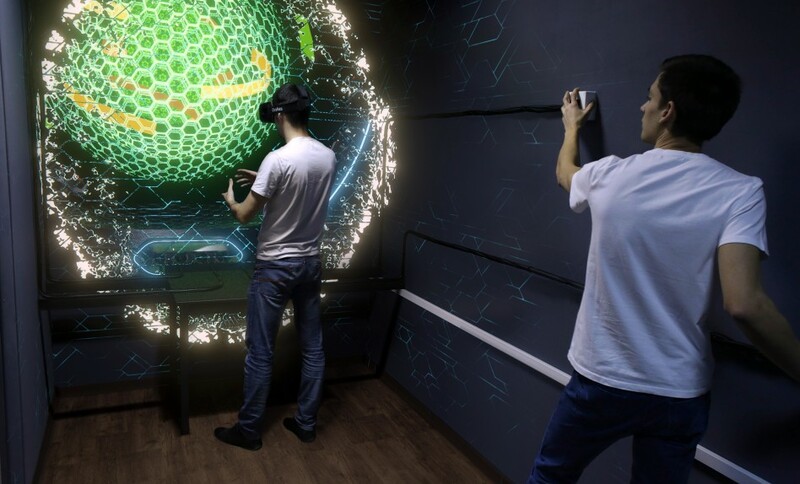 Investigate what's going on, but don't lose your mind in the new room "The Patient"
Enter the lab controlled by artificial intelligence to investigate the disappearance of the scientist in futuristic "Oblivion" Room. VR and AR puzzles included! New VR Arcade in Washington DC. 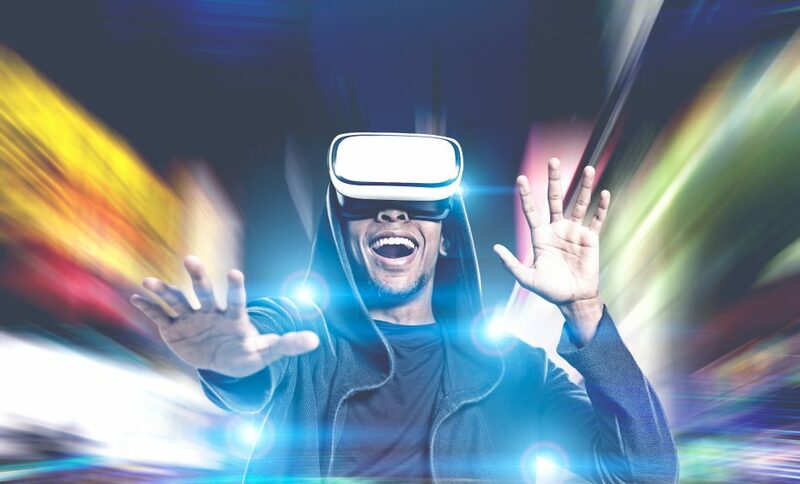 Stop by to play after your Escape Room Experience or reserve VR Station. 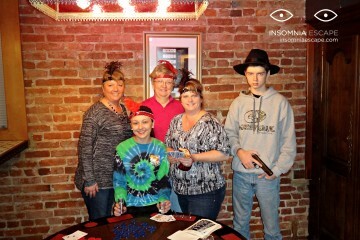 Each escape room at Insomnia DC has a unique scenario, eye-catching design and a movie-like story behind. Authentic interiors mixed with custom-made gadgets will make you feel inside a book story or a movie. Our puzzles are smart, logical and challenging enough to wind up your brain. Be prepared to find some high-tech gadgets and unexpected surprises. It is not an ordinary locks-and-keys escape room. 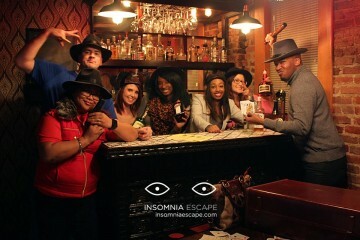 Escape room adventure is all about fun. Gather a team of friends, family members or colleagues to complete the mission together and find the way out.  You do not need any specific knowledge to complete your mission successfully. 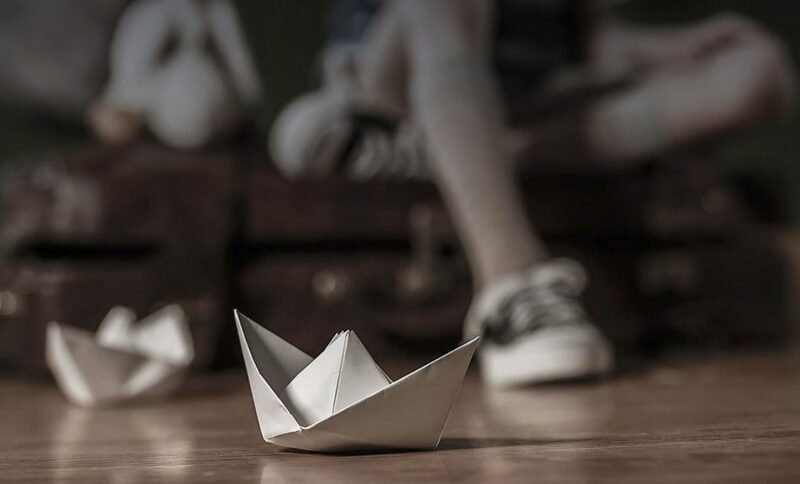 FOR WHOM DO WE RECOMMEND ESCAPE GAMES? 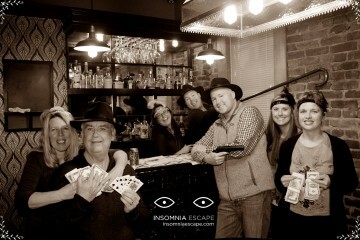 Escape rooms are perfect for friends and family gatherings. Complete a secret mission with your friends and family and celebrate! All ages can participate in the game, kids and babies are welcome! You can have your private escape party without breaking the bank. We can customize the room setting for you and make a special birthday present surprise. 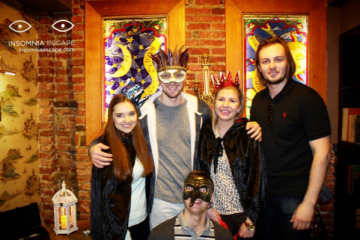 Bachelor and bachelorette parties, meetups and date nights – escape room is a perfect fit for different occasions. 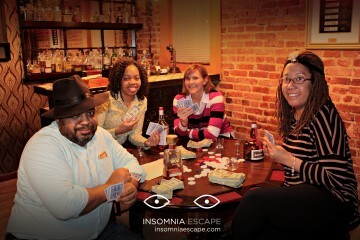 Plan your next team building event at Insomnia DC. Escape room experience improves teamwork skills and helps to develop a competitive spirit in your team. Intense cooperation, limited time and new environment make it a perfect team building exercise. 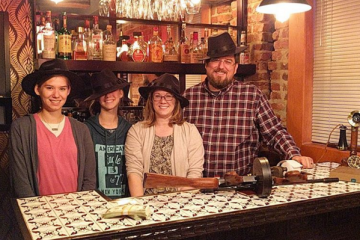 Escape room adventure is one the top fun things to do in DC! 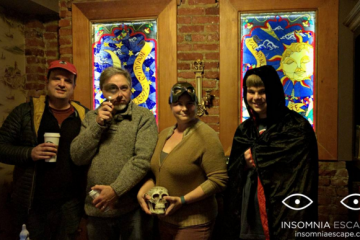 Escape Room DC is different from other escape rooms. We don’t lock you in the room with strangers filled with random puzzles. We place you inside the movie and you live the life of the main hero. You bring your team to complete the secret mission, so don’t worry about toddlers or teens running around (unless you bring one). Our DC location is a cozy and nice place – we have a welcome area with warming atmosphere and two game rooms (third scenario is coming soon). Strong emotions and wonderful experience guaranteed. 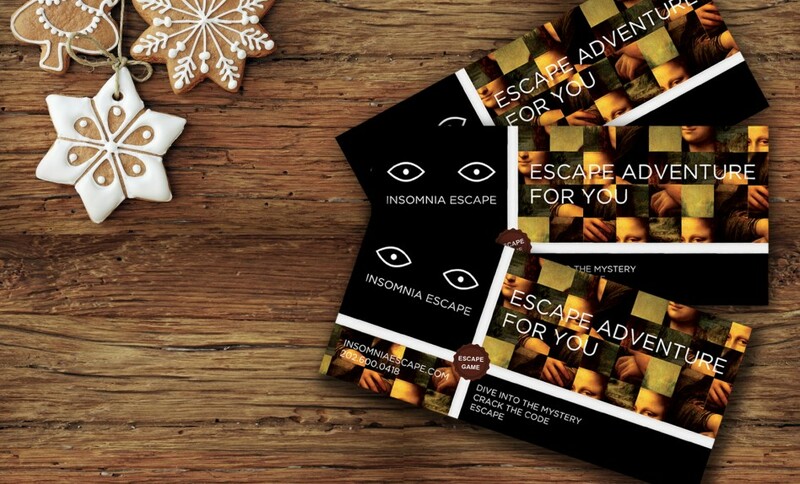 Use the main menu to to learn more about escape room Groupon terms and conditions, for full information about current promotions and escape room promo codes. This was my family's (husband, wife, and two teenage daughters) first escape room experience and it was supremely enjoyable. The room design was exceptional, the staff were very friendly and hospitable, and the game was challenging. We were able to make it out, but it was just in the nick of time. If we are able to travel back to Washington DC again, I would definitely enjoy trying one of the new rooms they are working on! 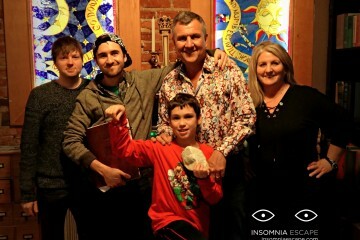 I've become something of an escape room junkie lately, and insomnia escape's Secret society was the seventh room I've done. It was also the most carefully executed, detailed, elaborate, and challenging. This is an escape them for people who love them, with every detail carefully thought through. Unlike some of the other ones in the DC area, you get a full 60 minutes, and you reserve the whole room at a time so you're not with strangers. They are pretty liberal with hints to help you get as far as possible, which annoyed me at first but I came to appreciate since otherwise there's no way we would've gotten through the whole room. I've already made a reservation for their other room and can't wait! A fun way to challenge your wits..!!! Challenging,Surprising,Rewarding and definitely Worth your money and time...and for all ages. It was brilliantly set up! My friends and I had so much fun! Worth every penny and for a really reasonable price. Highly recommended!!! We will be going back again ...Soon! We Went tonight to celebrate my husband's birthday with his kids. 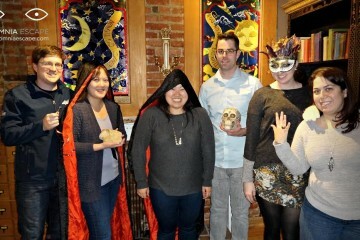 7 Adults each of us played a role in solving the puzzles and finding clues. It was tougher then we expected but we were so glad to accomplish it. We all had a better time then any of us expected. So much thought was put into the room. You really have to think outside the box. It was a wonderful experience!!. I'm telling everyone I know. I never heard of escape rooms until my meetup organizer posted this event. She said that she found out about it on groupon and I decided to give it a go. Well, I'm really glad I did. This is a fun activity that is a total departure from typical HH and dinner. We had four people total in our group and the theme was of the 1930s prohibition era--think mafia, speakeasy bar, bootleggers and the like. As soon as the doors close, the clock starts and you have an hour to complete the total mission.  All of the clues are logical and some things were hiding in plain sight. It's a great game to get you to use your thinking cap. The staff was very helpful and gave clear instructions. They were also very personable. I would totally do something like this again. I do want to make a note--you can bring up to seven people but I would keep it to four or five at the most. Also, some people can be super competitive to the point that it may put a damper on the fun for others, so keep that in mind. I look forward to trying another escape room. I give five stars for awesome fun! Our group of 5 had a blast (age 15 - 60), nice age variety. We did not know what to expect and we were not disappointed in the least! Great time and wonderful way to spend time together and work as a team. We also thankfully Escaped with 8 seconds to spare! Yippie! Very challenging, well put together and an awesome staff! Highly recommend! Thanks for an awesome time! 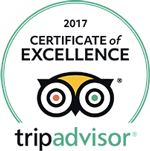 Had a really good time, staff was very pleasant and the room itself was well done. I will be going back and trying the other room. Having done over 10 Escape Rooms this was the best! Attention to detail, great props, electronics, all done with a very artistic touch. I have done the rest, this was the best! My friend really wanted to go try an escape room for her birthday. Since we were looking within a week, there weren't many options left (we checked Escape Room Live, Escape the Room, etc.). Luckily we found a slot for Secret Society on a busy Saturday! This was my first escape room experience, but it was amazing! Other members of my party who had done other escape rooms in DC were impressed and said it was the best one they've been to. The staff was very friendly, and gave us good instructions. I had been a little apprehensive at the thought of being "locked" in a room for an hour with 5 other people, but the hour literally flew by. I thought the clues were just challenging enough that it took a while to get to the end, but not too hard to the point that you gave up. It was helpful to have more people to bounce ideas off of (we had 6), but I could see how having more would start detracting from the experience (too much stuff going on and not everyone being part of figuring out all of the clues). No spoilers, but definitely would recommend. The level of detail and the effects were top notch, it really felt like we were on a mission. It's a little pricey, but then again, it's not like you'll do the same room twice. 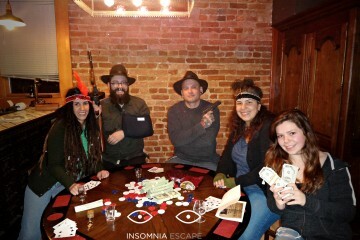 "We want this to be storytelling," says Alex Gerasimov, who, along with his wife Damira Gerasimova, opened Insomnia Escape in Glover Park three years ago. The two of them design the escape rooms together, with the intent that each clue works as part of a larger narrative. This mystical heist elegantly wove puzzles throughout an intricate environment without losing the thread of gameplay. Clever technology and game design showed us a memorable adventure. 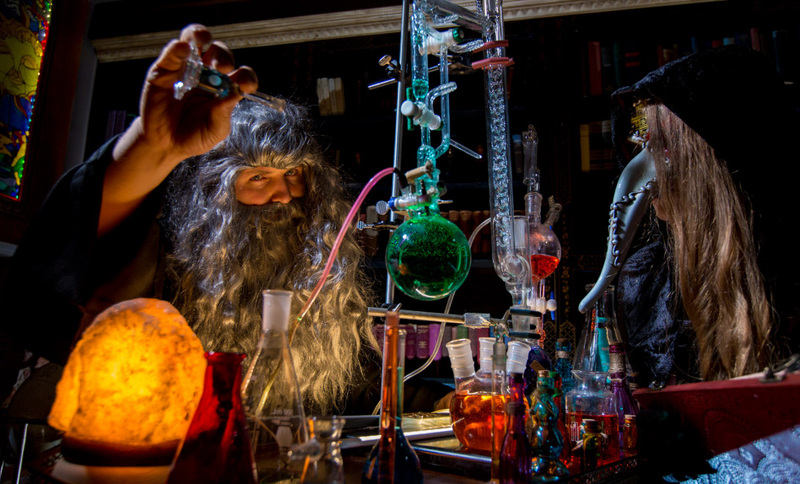 Washington Post Express: What’s the deal with all of the escape rooms?